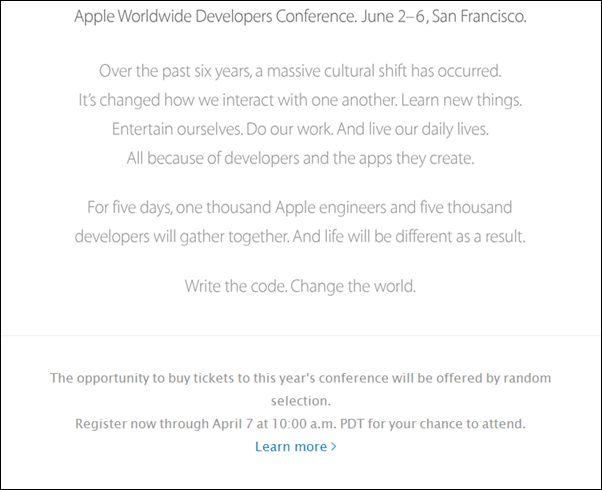 June is coming so as World Wide Developer Conference 2014, Apple's annual big event WWDC 2014 date has been officially announced i.e. Monday, June 2nd, 2014 at San Francisco’s Moscone West, USA. Apple WWDC 2014 Event will be a five day conference from June, 2 to June, 6 and the main focus agenda of conference sessions would be upcoming new iPhone, iPad or iPod Touch devices i.e. iPhone 6, along with new firmware updates i.e. iOS 8, new software releases for Mac i.e. 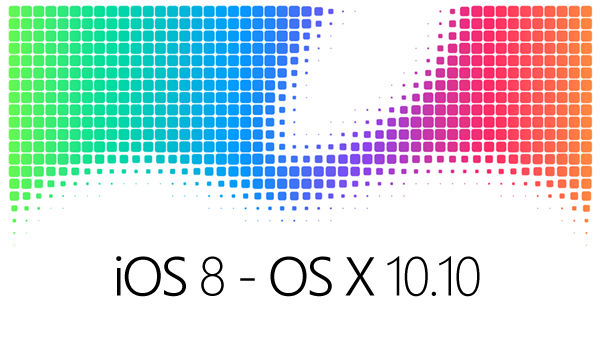 OS X 10.10, new Apple TV products as well as iWatch gadgets and more. According to Apple's CEO Time Cook, 2014 Year will bring some exciting new Apple products to customers worldwide. 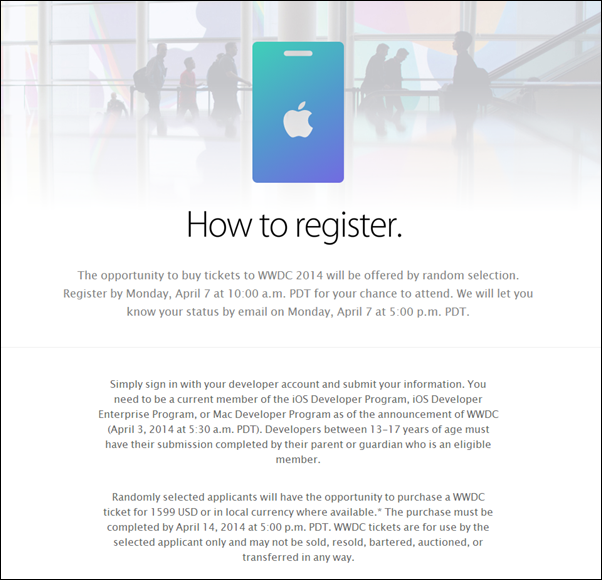 WWDC 2014 tickets are available at Apple's WWDC website from Monday, April 7th, 2014 at 10:00am PDT to developers, Additionally WWDC 2014 tickets will be issued to attendees through random selection. According to Apple, WWDC 2014 Keynote video streaming along with Apple Design Awards will be streamed live via WWDC website. At WWDC 2014 main event, it’s expected that Apple will unveiled 4.7-inch model iPhone 6 Smartphone along with 5.5-inch Phablet device, iOS 8 Firmware mobile operating system, Mac OS X 10.10 software update and lots more. 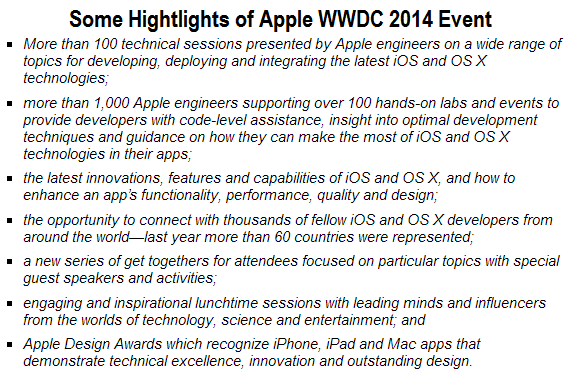 So what's your prediction for WWDC 2014 Event? Stay tuned with us for more updates on WWDC 2014.